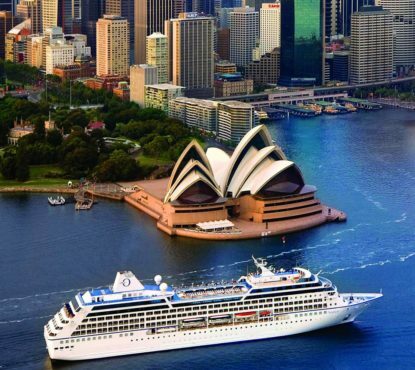 Escape the daily grind and jump on board an Ocean Cruise Ship. Travelling has never been so easy, visit a number of fabulous destinations with the benefit of only unpacking once, no hassles with airport transfers or taxis and whilst waiting to get to your next port you can enjoy the ships resort like facilities, select from numerous mouthwatering restaurants, indulge in the various entertainment, or sit back and relax by the pool and soak up the sunshine! Your choice of a shore event OR, if your prefer, a private car and driver, or a shipboard credit. The Power of Influence* – you can’t VIP yourself ! Princess’ more than 150 different itineraries offer travellers the opportunity to cover the globe, with sailings to six continents that call at more than 300 ports and destinations around the world. Destinations include the Caribbean, Alaska, Panama Canal, Europe, Mexico, South America, Australia/New Zealand, South Pacific, Hawaii, Tahiti/French Polynesia, Asia, India, Africa, Canada/New England and world cruises. Princess passengers can enhance their cruise experience with a wide array of in-port excursions worldwide, and the company’s cruisetour offerings enable passengers to combine their cruise with a full land tour. On a Princess Cruise you’ll be right at home without a care in the world. 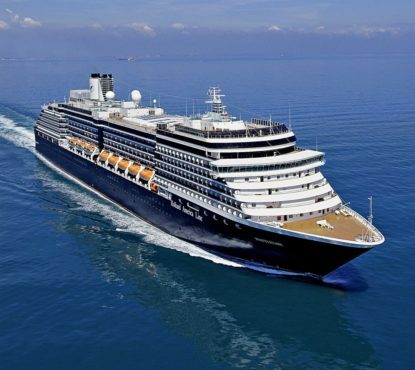 For more than 140 years, Holland America Line has been a recognised leader in cruising. If you are looking for some of the most spacious and comfortable ships at sea, award-winning service, five-star dining, extensive activities and enrichment programs and compelling worldwide itineraries, you’ve come to the right place. The Holland America fleet of 14 modern classic ships offers more than 500 sailings a year visiting all seven continents. 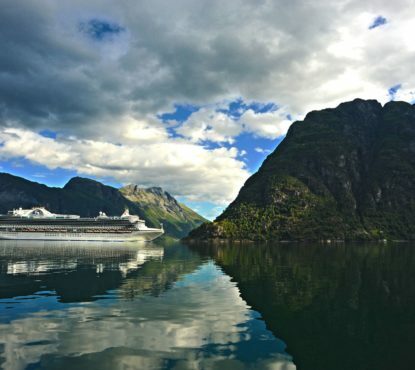 Cruises include both popular and less-travelled ports in the Caribbean, Alaska, Europe, Mexico, South America, the Panama Canal, Australia, New Zealand and Asia — as well as unique voyages to the Amazon, Antarctica and our extended Grand Voyages. Imagine yourself cruising through the heart of Europe passing through medieval towns, the bright lights of the big cities and scenic landscapes all from the comfort of your river facing cabin. Each day you will see a new piece of Europe and experience local culture, with the ship mostly travelling at night you will get to make the most of your time in each city. Whilst onboard you will enjoy scrumptious local cuisines and wines, local entertainment and sitting from the comfort of the lounge deck and watching the world pass by. There’s a moment on every Uniworld boutique river cruise when it becomes clear. Maybe it’s while luxuriating in the comfort in your exceptionally appointed stateroom or suite. Or savouring yet another culinary masterpiece prepared by the master chefs. Or while experiencing the jewels of Europe from a perspective only the river can provide. A moment when you realise that this journey is unlike anything you’ve ever experienced and beyond anything you could have expected. Tauck invented the concept of all-inclusive luxury travel 93 years ago, and continues this high standard of excellence to this day. 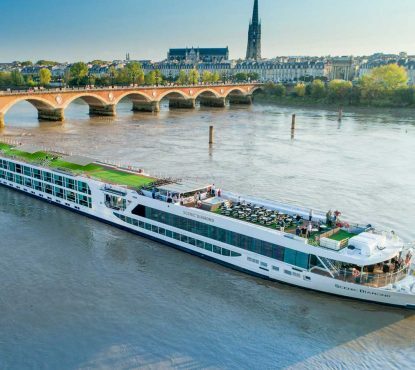 Because their most popular cabins tend to be the largest, Tauck created an innovative deck plan offering twenty-two 300-square-foot Tauck Suites – the most of any river cruise ship on any European river. And they created eight loft cabins that extend from the first to the second decks, affording guests more natural light and views of the passing scenery. Tauck is famous for innovative and exclusive shore experiences, all of which are included in your fare. 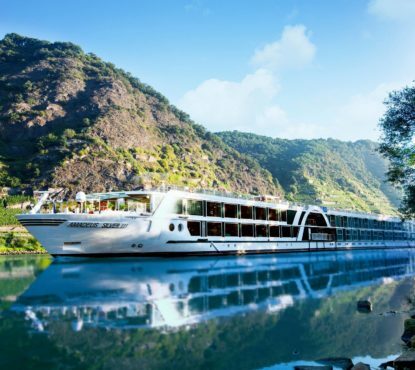 With its optional inclusions, Amadeus River Cruises is Europe’s best value river cruise line, offering a choice of fascinating river cruises for every season and occasion, including itineraries that span the breadth of Europe from Amsterdam to the Black Sea. Discover breathtaking countryside, lush green vineyards and historic castles where history comes alive. Book your excursions as you go so you can skip the coach tour on those days you’d rather just wander around town exploring the shops, restaurants and sights on your own. Or if you prefer, book your shore excursions in advance for a 15% discount. 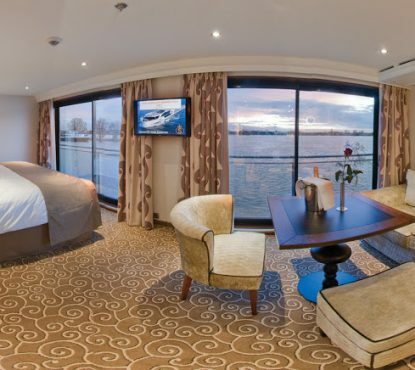 Relax aboard one of APT’s award-winning river ships. Unpack only once & enjoy your floating boutique hotel as great destinations appear at your doorstep. Enjoy unforgettable journeys along iconic waterways. 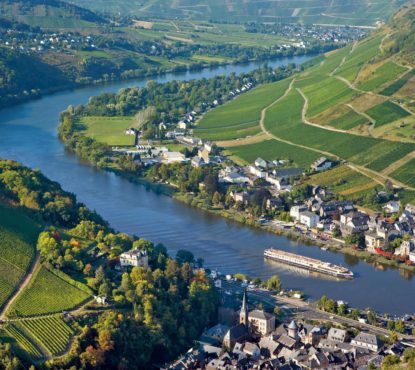 Life-enriching, relaxing and unique – an APT river cruise is the ultimate holiday experience. Discover unforgettable destinations as you travel in total comfort and style. From Europe and Africa to China and Vietnam, you will wake up each morning in a new location, ready to explore new sights on an APT river cruise. Cruising with Scenic is quite simply, the indulgence of a lifetime. From the moment you step on board, you’ll be spoilt for choice and can look forward to a wide array of luxuries. From our bubbling vitality pool, to suites that are the largest of any river cruise ship. 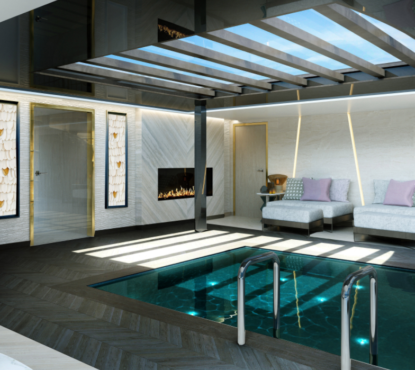 On board you’ll have full access to a wellness area, complete with massage services and a hair salon, a gym, special on board entertainment, Wi-Fi internet, e-bikes and our luxuriously appointed suites to retire to at the end of the day. From The World’s Most Awarded Luxury Cruise Line™ comes an unrivalled new way to explore the legendary capitals and enchanting landscapes of Europe’s majestic waterways…introducing Crystal River Cruises. Completely reimagining the European river experience with the most spacious, state-of-the-art fleet of five all-suite river yachts boasting exceptional design and unparalleled all-inclusive amenities, including butler service for every suite.